After extensively covering the route between Narita and Tokyo in Narita to Tokyo and Narita to Tokyo (Revisited), I felt that there was a need to cover the airports around Tokyo as well. Most people will think that Narita is the largest airport in Japan, but that is not correct. 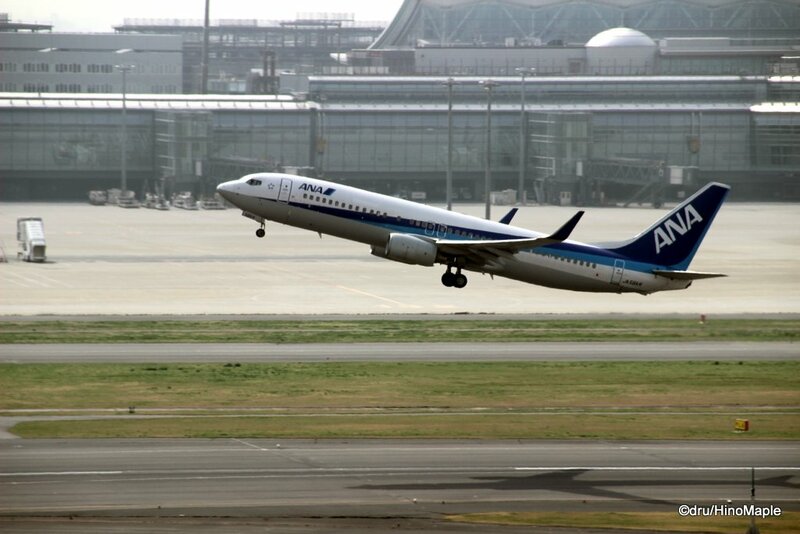 The largest airport in Japan is Haneda Airport, or as it is officially known, Tokyo International Airport. It has double the passenger movements as Narita but still loses out to Narita in terms of cargo. Haneda was the first airport to serve international passengers in Tokyo and it is slowly growing in importance. When I first arrived in Japan, Haneda was barely an afterthought when it came to international departures. The international terminal was not very passenger friendly and it was probably just a simple building with a few amenities. In 2010, a new international terminal had opened allowing more passengers to fly in and out of Haneda. Haneda is the more convenient airport to use compared to Narita but there are still some problems with it. Getting to and from Haneda Airport is relatively simple, but it often requires a transfer for most people living in Tokyo. There aren’t many services that cater to travellers as most of the flights are domestic and most domestic travel doesn’t generally require large bags. To get to Haneda, the best bet for comfort would be either the Airport Limousine or the Tokyo Monorail. The Tokyo Monorail tends to be a bit expensive relative to other regular trains and it starts at the relatively less convenient Hamamatsucho Station. It is an inconvenient station to start from as it requires a transfer for most people but the views from the monorail are great. As you the Monorail splits away from the Yamanote Line it heads to the coast of Tokyo Bay and you get to see a lot of the manmade islands with various parks, industrial areas, and even a horse race track on them. At one point you even get a chance to enjoy the outskirts of the airport. The Keikyu Lines are another method of reaching the airport but it is also one of the most complex ways to reach Haneda. I have often gotten into trouble using the Keikyu Lines in the past. 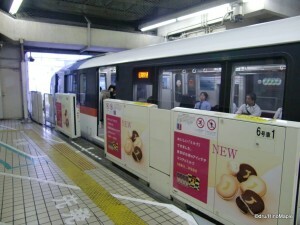 It is a trunk and spurs train line with only a few trains heading directly to the airport from Shinagawa each hour. With an average of 5-6 trains going directly to the airport each hour during the day, you won’t have too many problems getting there, but trying to find the right train out of the an average 20 trains an hour can be a little daunting for a first timer. At times, trains do head directly to and from Narita Airport via the Keikyu Lines but if you choose to take a different train you can get into trouble. For an unseasoned traveller to Japan, I often recommend the easiest method of looking for a train that is going directly to where you want to go. 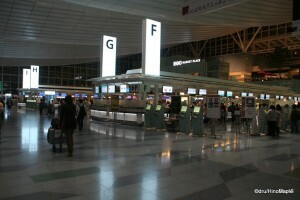 Haneda Airport is still a domestically centred airport. You will find 2 terminals completely dedicated to domestic air travel. I have only visited Terminal 1 recently, although I have used all of the terminals at some point in time. Terminal 1 is dedicated to JAL, Skymark, and some StarFlyer flights. 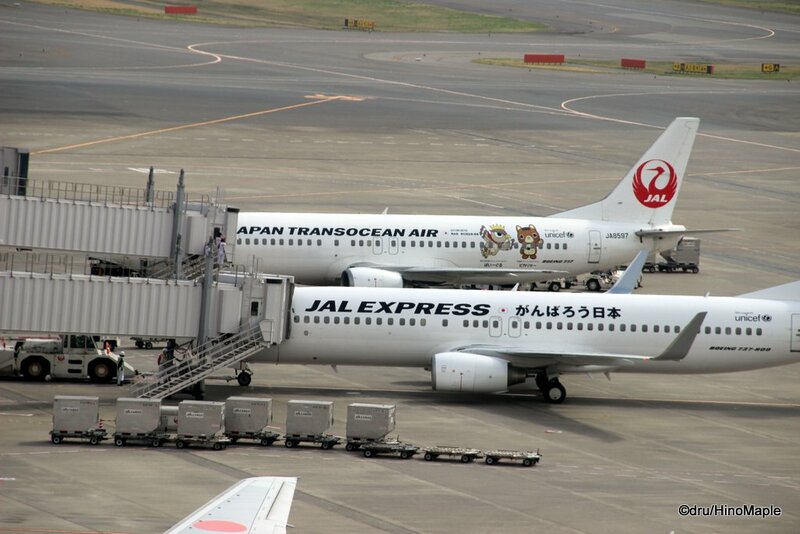 As you walk throughout the terminal you will notice a huge JAL theme. Everywhere you go you will see JAL related shops and JAL branding. This is due to Terminal 1 being almost exclusively dedicated to JAL. The same can also be said of Terminal 2 as that is almost exclusively dedicated to ANA. Relatively recently, JAL has upgraded the look of Terminal 1 and it does look a lot nicer than the previous time I had visited Terminal 1. The outdoor observation deck on the roof is really nice and a lot of the shops inside the terminal are reasonable. Like any domestic airport, you can find various souvenirs all over. If you are planning to buy food and drinks inside the security area, you may be hard pressed to do so. There are several options for food and drink, but they do have a slight premium on the price. I found it to be difficult to get regular convenience store food inside the secure area but it really depends on which gate your flight departs. The good thing about Haneda is that security is much easier to pass through. You only need a few minutes as most of the lines move quickly. People are often ready to get through the lines and there is even an express line for people who need to rush to their gates. 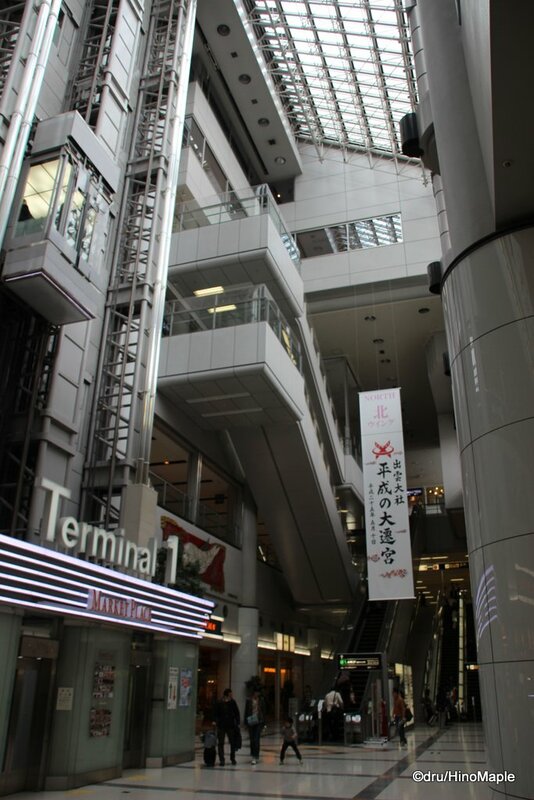 Terminal 2 is almost the same as Terminal 1 except that they do have an ANA theme rather than the JAL theme in Terminal 1. The international terminal is the newest terminal, opened in 2010. It was touted as a great new place and a place for tourists to visit during the day. This is a necessary sales strategy as the international terminal is not very popular outside of the late evening and early morning hours. Due to strict regulations, flights outside of Japan, excluding places within a radius the length of the farthest point of Japan, must operate between 11pm and 7am. This places a severe restriction on flights. Some flights are given exemptions for various reasons. Flying to Seoul is easy as it lies within the radius of the farthest point of Japan. The farthest point is determined by the airport itself. In this case, Ishigaki Island in Okinawa is the farthest airport to Haneda within Japan, and it is farther from Tokyo than Seoul. There is also Taiwan which has a special exemption due to political reasons. You also have Hong Kong which has been experiencing a few special perks. For those flying outside of those regions, you will generally be restricted to early morning and late night flights only. This means the international terminal is effectively closed when you want to use it the most. It isn’t the worst thing in the world as there is no real need to do anything at such a late hour, but it would be comforting to know that you could get a drink when you really need one rather than finding out nothing is open or everything is extremely busy within the terminal. 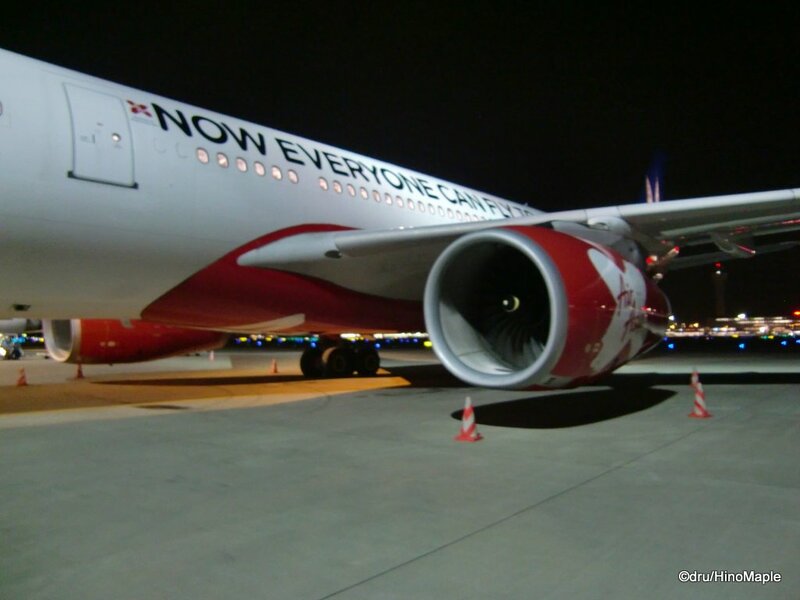 Low Cost Carriers (LCC) started to get a foothold into Haneda, specifically with Air Asia X. 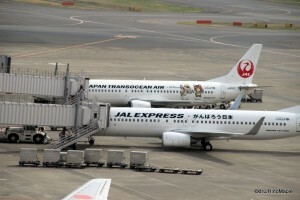 Low Cost Carriers were looking to start flying to and from Haneda for domestic services but that has changed recently. It is becoming more common for LCCs to locate their operations in Narita and it seems like that will be the trend from now on. 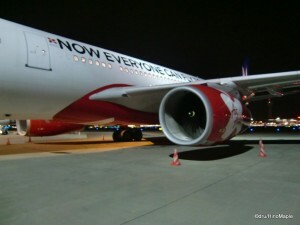 This problem has been highlighted recently with the failure of Air Asia Japan which had been operating at Narita Airport. The CEO of Air Asia wanted to base their airline at Haneda but internal fighting with ANA for flight slots led to the end of the airline. Cargo is another area Haneda wants to improve. They concurrently built a new cargo facility along with the new international terminal but it doesn’t seem to be working out. Carriers are not switching operations to Haneda even though they have the infrastructure to do business there. They are limited by the number of available slots for take offs and landings as well as the lack of their own personnel to handle the flights. It is possible that things will improve with time but at the moment there is no guarantee that it will happen. The future of Haneda seems stable for the moment. A lot of people have complained that Haneda is a better airport but it lacks proper services. While the domestic terminals are not going to see any expansion in services, the international terminal will. The airport is planning an expansion of the international terminal as well as an expansion of their services. When I returned to Japan via Haneda, the services they offered were passable at best. The employees are not as well trained as those at Narita although they do get the job done very well. It can be frustrating when people don’t know what to do, but thankfully things are relatively the same when passing through customs and immigration in Japan. Everything looks similar and the flow is pretty standard. I hope that Haneda increases their capacity but it appears that won’t be the case. I can always hope though. This entry was posted in Planes, Tokyo and tagged Air Asia, Air Asia X, Airport, All Nippon Airlines, All Nippon Airways, ANA, Haneda, Haneda Airport, JAL, japan, Japan Airlines, Keikyu, LCC, Low Cost Carrier, Monorail, Plane, Shinagawa, Skymark, tokyo, Tokyo Bay, Tokyo Monorail by Dru. Bookmark the permalink. It doesn’t matter how often I take the Keikyu Line, I always end up on the wrong train going in the wrong direction, but … well … we all know about my notorious sense of direction, and damnit, Keikyu just won’t leave trails of elephant dung for me. YES! Keikyu is so confusing! Even though I consider myself pretty good with directions, I am always lost trying to figure out which train is okay and which one isn’t. Actually, the flight restrictions may be ending. I think the flight on ANA from Haneda to Vancouver leaves in the late afternoon. However, the number of mid day and afternoon flights to and from Haneda are still severely restricted. I bet that the number of domestic flights will decrease and the runways will have more space for international flights. I hope we get a wider variety of international flights, too! Last year I came back from LA to Haneda and it was great because my flight landed at 5am. I just took a shower at the airport and headed straight into work, so convenient! I would use T2 more often but my air miles are almost all on JAL… Guess there is no plan to switch to ANA anytime soon, but who knows. You did a night flight and straight to work? I applaud you for that. I once did a night flight from Singapore and worked at night. I was falling asleep badly. I can’t do that. Hats off to you for that! PS: Air Canada was going to have a flight to Haneda but the times were not as good. Leaving Vancouver at night and arriving here in the early morning. And then turn around in the morning and arrive in Vancouver in the early morning too. I saw ANA decided to do a night flight instead and arriving in Vancouver just before dinner. Turn around returns here in the morning or afternoon. Can’t remember. Might work better. I still like the early evening flight from Narita as I’d get to Vancouver just before noon. Return is not as good as I lose the day in Vancouver. I’m more there for shopping and eating, rather than planespotting (I didn’t even know that was a word! haha) but I know what you mean, it is a little far out. I usually stop by when I’m in Odaiba or Shinagawa area. Yes, the buses go everywhere but it really depends on where you live. Now that I live on the Oedo line, I use the train, too. Well, the flight was 12.5 hours and I was asleep for 11 of them so I was actually more rested than usual nights, so morning flights are no problem for me! I think it depends of where you’re coming from, too. I’m hoping to squeeze in Vancouver maybe next year to one of my US flights, so I’ll have to look into my options then! Yay for more flights, especially since the ones at Haneda are mostly ANA! Eating and shopping at the airport? No planespotting? No! 🙂 I couldn’t imagine going and not caring about the planes, but then again I love planes. You got to sleep for 11 hours? How lucky. I have a tough time sleeping on flights. When I go to Vancouver, the flight arrives there around 2am Tokyo time, 10am Vancouver time (I think) so I never sleep. really hard to get through the day, but coffee helps a lot.